Bohemian waves are all the buzz this spring! They’re soft, natural and even a little messy. A good boho wave is never too curly, smooth or consistent; in fact, it’s the imperfections of the wave that make it appealing. 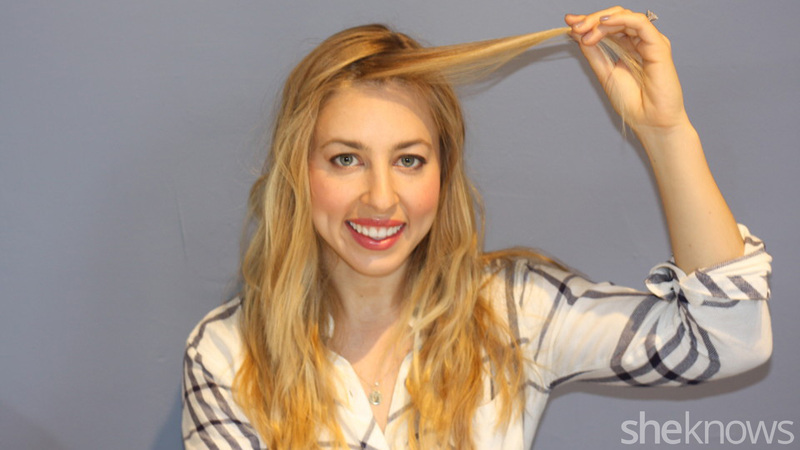 Let’s start this boho wave tutorial with straight hair. 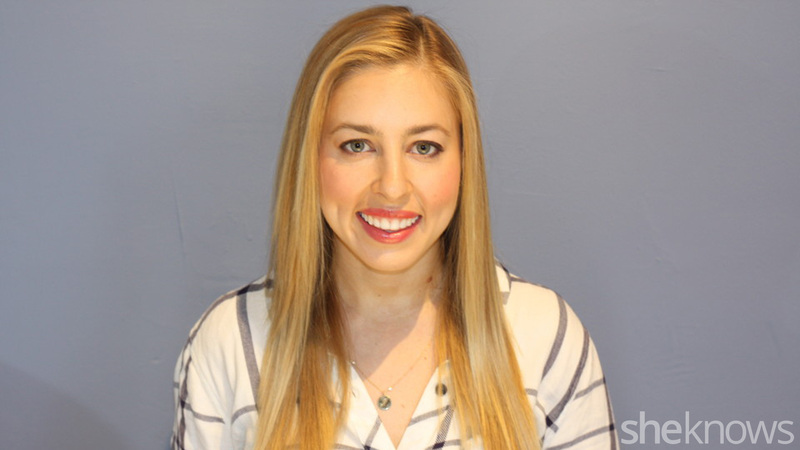 Contrary to what you might think, a curling iron is not the right tool to use when making boho waves because it will create really consistent results. Every section you curl will look exactly like the previous one because the hair is being wrapped and heated around the same size curling iron rod. 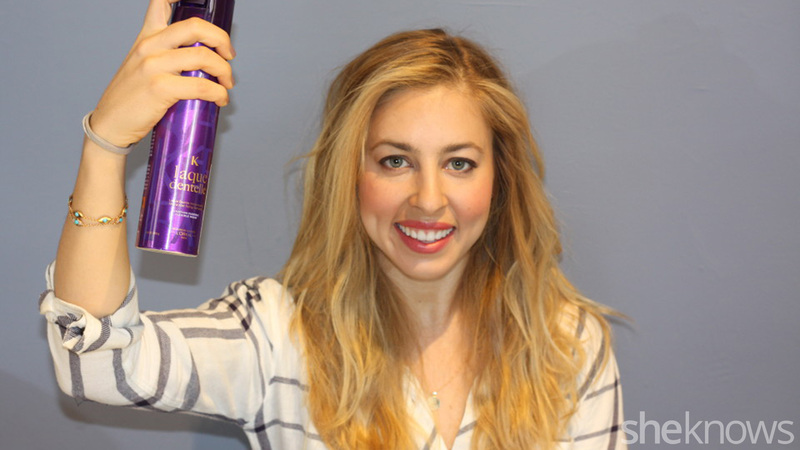 Remember, when making boho waves we want to see inconsistent results, not perfectly replicated sections of curls. 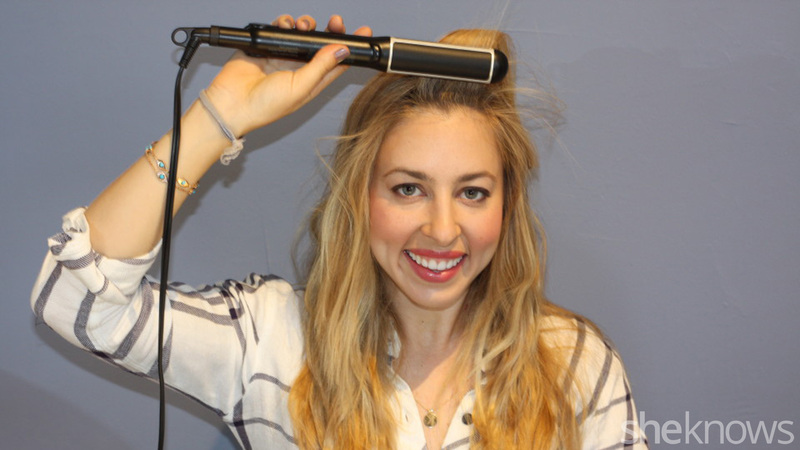 The best hairstyling tool to use for boho waves is actually a flat iron! 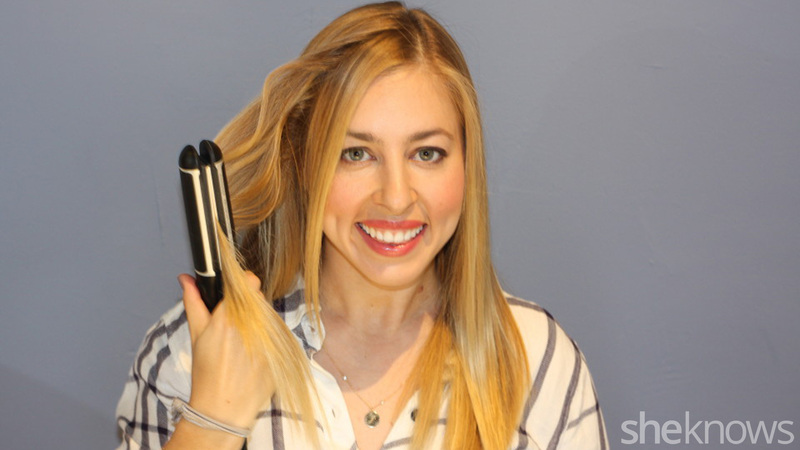 A flat iron will give you a great boho wave hairstyle, because with the right technique every single section you use it on will give you a unique result. So instead of looking perfect and uniform, the hairstyle will look imperfect and natural. 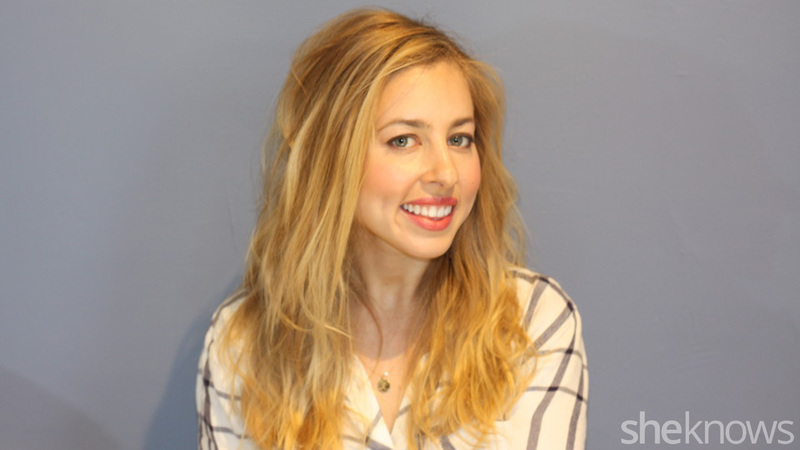 I like to use the Versa Style Iron by Rowenta to make boho waves for two reasons. First of all, its heated plates have beveled edges which will allow the iron to bend the hair as opposed to straightening it. 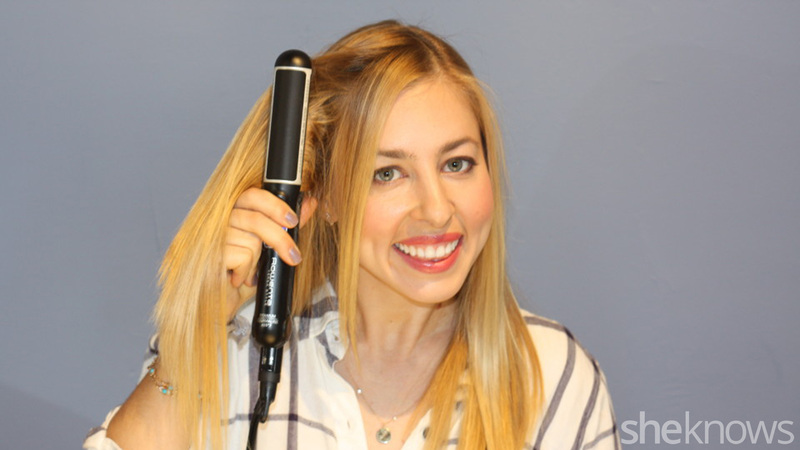 Second, the outer shape of the iron is circular, so when a section of hair is heated and then bent around the iron, the hair will mold around the circular shape of the iron. 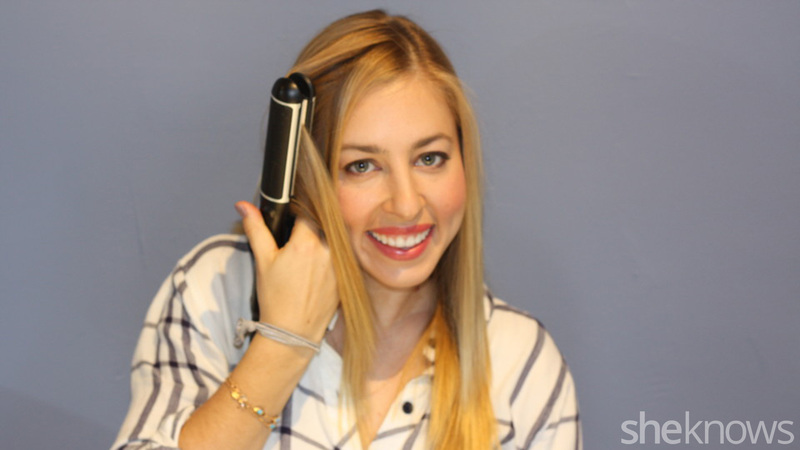 We are basically crimping the hair with this iron by bending it 180 degrees one way, sliding it down the hair and then bending it 180 degrees the other way. If you try this technique on horizontal sections of hair, you run the risk of the wave looking too much like a perfect S wave; However, if you use vertical sections of hair, the S wave will be hidden, and the end results will just look soft, natural and imperfect. Make sure you don’t touch the fringe section of hair with the iron yet. That’s the section of hair found on the hairline, surrounding each side of your part in the front (see straight piece in picture above). We are going to do something different to those sections of hair later. Repeat this technique from the base of the hair downward towards the bottom of a section; bend one way, slide, bend the other way. 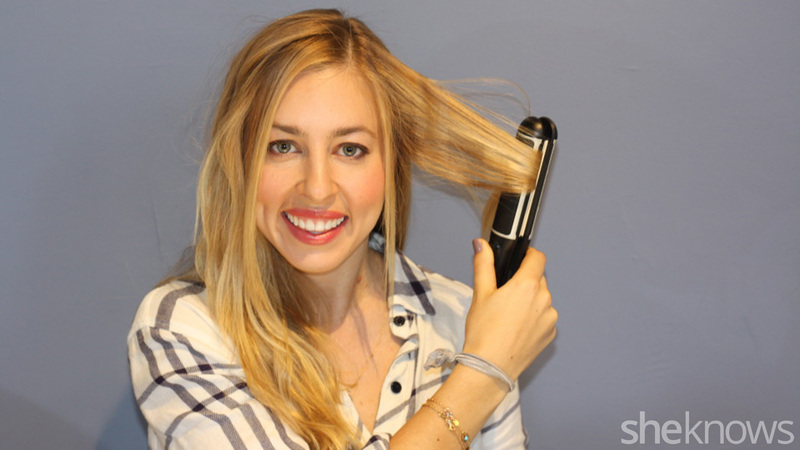 Continue waving the section of hair until you reach the ends. Then finish waving that side of the head with the same long, vertical sections of hair. If the plates of the iron weren’t beveled and the outer shape of it wasn’t circular, then this technique would create an ugly crimp instead of a soft S-wave. 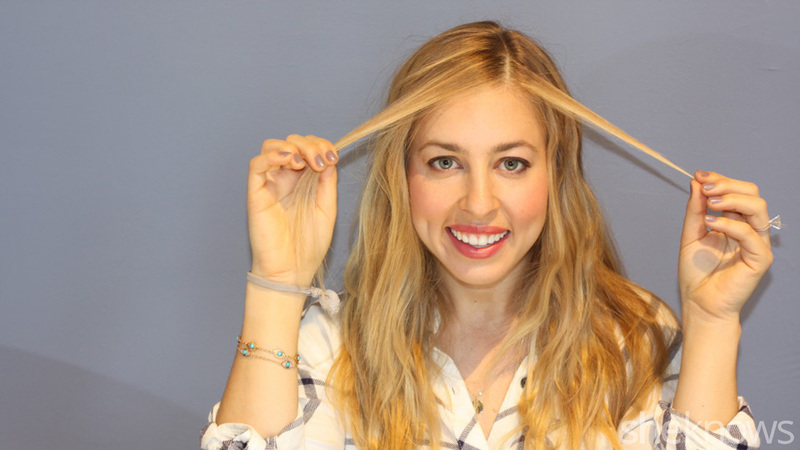 When you’re finished waving one side of your head, you can move on to the other side. When you’re completely finished waving both sides of your head, gather the two fringe sections of hair that you haven’t ironed yet. Combine those two sections of hair into one section. Starting at the base of the fringe section, quickly glide the iron up and away from the face towards the back of your crown. This will give the fringe just a soft bend. We don’t want to give the fringe a full S-wave because that will look too intentional and styled. Finish the style by spraying it with a light-hold hairspray, I like to use Laque Dentelle by Kérastase. Especially spray the area where the fringe meets the rest of the hairstyle and rub that area with your fingers. This will naturally combine the fringe area that was just bent with the rest of the hair which was S-waved. Visually you won’t be able to tell where the technique changed; there will be no demarcation.